Fifty-six years ago, 11-year old Fahimi Zeidan lived with her family in the Palestinian village Deir Yasin. The livelihood of the village largely dependend on agriculture and by residents keeping livestock. Many others worked in Jerusalem. The area around the village was rich of limestone. The villagers excavated quarries and developed a thriving industry in stone cutting. As the village prospered its homes radiated from the Hara uphill and eastward, towards Jerusalem. The village, which was home to some 700 residents, was a prosperous, expanding village at relative peace with its Jewish neighbours with whom much business was done. On the eve of the war, Deir Yassin and the adjacent Jewish colony of Giv’at Sha’ul signed an agreement promising to be good neighbors. This agreement was approved by Haganah headquarters in Jerusalem. However, on the 9th of April 1948, Zionist forces entered the home of Fahimi Zeidan, ordered her family to line up against the wall and started shooting. Fahimi, two sisters and brother were saved because they could hide behind their parents. But all the others against the wall were killed: her father, mother, grandfather and grandmother, uncles and aunts and some of their children. Members of Irgun Zvai Leumi and Stern Gang captured the village and massacred 120 Palestinian men, women and children. During and after the attack on the village, members of these armed groups fired indiscriminately, blew up homes with their inhabitants still inside, executed men, women, and children, firing at close range, and looted whatever came to hand. The surviving villagers were loaded on trucks and paraded in a march through the main streets of Jerusalem. This massacre marked the beginning of the depopulation of over 400 towns and villages, and the exile of more than 700,000 Palestinians. It also marked the beginning of the Palestinian catastrophe, “Nakba”, and the creation of the largest and one of the longest standing refugee cases in the world today. More than 6 million persons, comprising around three-quarters of the Palestinian people, and nearly one-third of the global refugee population, remain without a durable solution to their plight. In the summer of 1949 several hundred Jewish immigrants were settled near Deir Yassin and the new colony was named Giv’at Sha’ul Bet. Many of the village homes on this hill are still standing and have been incorporated into an Israeli hospital for the mentally ill that was established on the site. 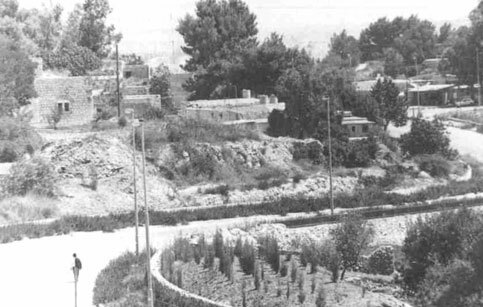 The cemetery was later bulldozed and, like hundreds of other Palestinian villages to follow, Deir Yassin was wiped off the map. The Israeli government has never apologized for the massacre of Deir Yassin. The perpetrators of the massacre at Deir Yassin were never punished. Victims were never offered compensation.